Thankfully 5mith is a very nice person and made his script open source which allowed me to build upon it. I encourage everyone to check him out. 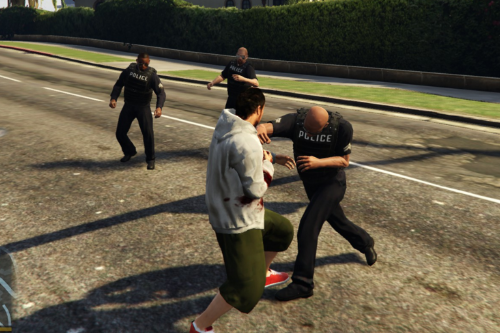 5mith's script(0.1) made cops approach you with nightsticks if you were unarmed or were using melee with under 2 stars but they never switched back to their guns after they switched to nightsticks. 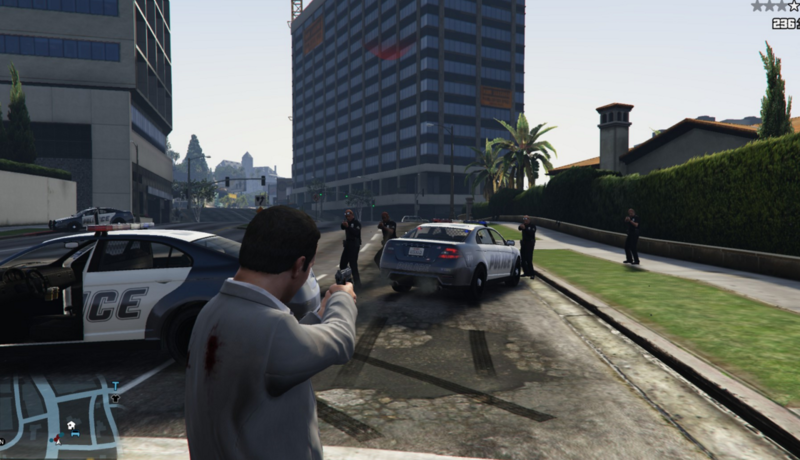 script(0.15) features everything in the old script but makes the cops switch to pistols if you get out any weapon that is not a melee weapon. 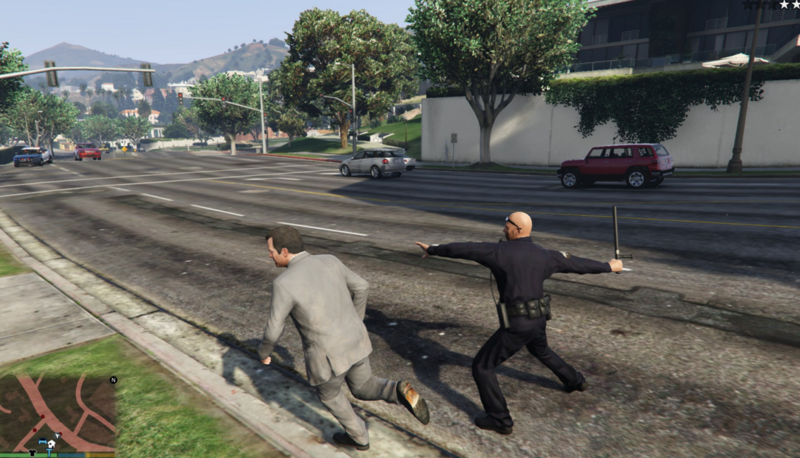 New in (0.16) Police now attack you with a nightstick at 1 and 2 stars if you are unarmed or using a melee weapon but try to arrest you using their guns if you are armed with a gun at 1 star. 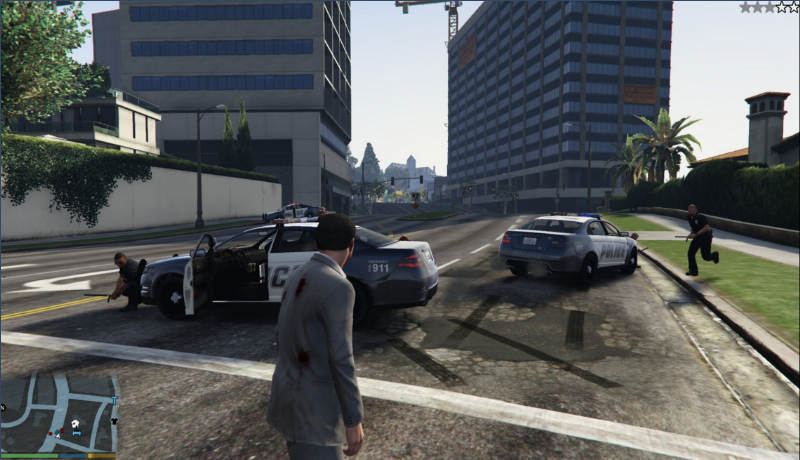 Drag file into scripts folder in GTA 5 directory. Note:This script will be open source. This means that anyone is free to modify it and upload it. The only reason this script exists is because 5mith is a great guy and released his source code. I have never actually wrote anything for gta 5 nor wrote anything in visual basic before until I stumbled across 5mith's script. A big thanks to 5mith and I encourage all modders to release source code. 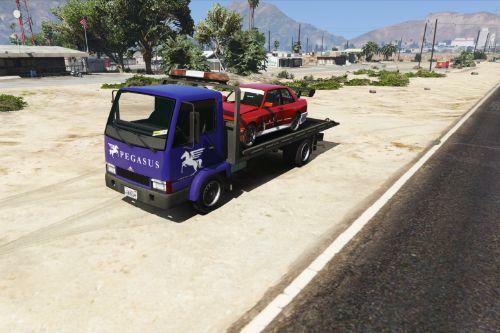 Thank you for this mod! Also thank you for releasing your mod as Open-Source!!! 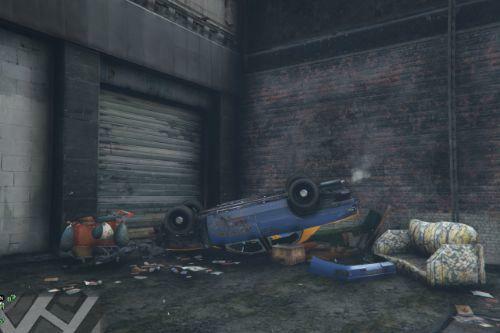 I think all modders should be releasing open-source mods, it would make the modding community even better then what it already is. Not to mention it would get more people into actually developing mods beccause all mods would be open-source, so they can learn by reading the source code. @TheTechGenius I appreciate the support. Open source is a very good way of getting more people into programming. 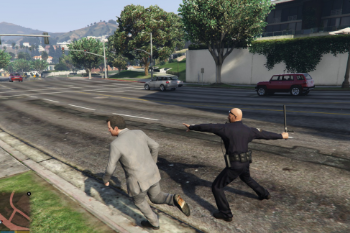 can u make a mod where no matter what star cops fight you with night sticks? please? I would find it fun. @idontcheatihotkey Thank You! Mind if you let me know when it's out? @Damanwhosdagreat alright I will :). 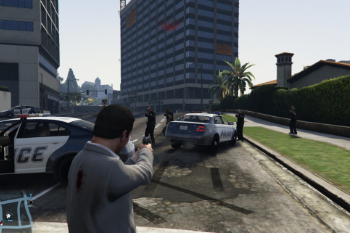 @idontcheatihotkey could be possible a little update to this amazing mod with like random chose by cops between nightstick OR stungun ? maybe 50% and 50% probability, or 60% and 40% etc. etc. ? 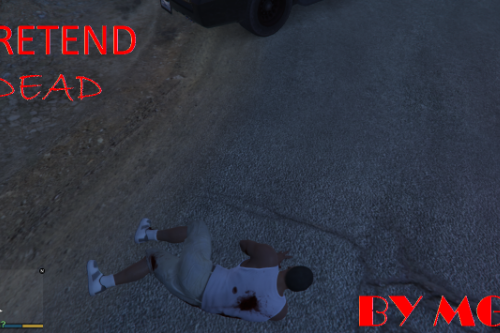 Should be really more realistic and funny to face out in game....really hope u find how to. this is nice, only strange thing is how it works fine with original wanted triggers, like when player car hits cop car, i receive 2 stars and cops are coming at me with sticks, but if 2 stars are triggered by another script mod while i'm speeding, they go guns blazing anyway. @tall70 maybe you have a weapon out while in the car?